There are many material options available for the roof of your home. Not only are there many material types, such as Cedar Shingle and Fiberglass Shingle, but each type is also available in a wide color range. In our initial meeting, we look over samples with you and decide which material and color will work best for your home. 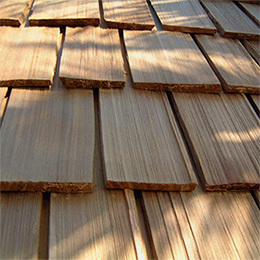 Wood shake and shingle options are natural and durable. Our most common request for Ranch style homes is cedar shake. Today’s shake are manufactured with modern preservative treating technology to fully protect from decay and weathering. We use wood shakes and shingles by Waldun and other mills. 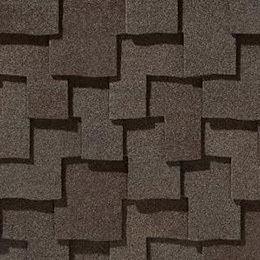 All of our shake and shingle products are extremely durable and attractive. They are treated with FTX Fire Retardant, have a 30 to 50 year warranty and are Fire Rated Class A through C.
We install GAF shingles for both value and performance. 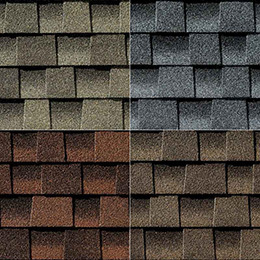 The Timberline Series of shingles offer style, a wide range of color choices, and durability. Installation time is less than cedar shake, saving labor costs. CertainTeed roofing products are well known for their distinctive design, extra-thickness to massive-thickness for incredible endurance, limited lifetime and full lifetime warranties, and their unique “Shadow Effect” design.